Last summer when Ms. Jeannie posted about the giant hercules beetle larvae poking their way out of the ground she mentioned that on first glance she mistook them for old doorknobs. Sometimes that actually happens. One of the joys of digging around in the dirt in Georgia is unearthing unexpected treasures. A few weeks ago, Ms. Jeannie was visiting a fiend and helping with some garden projects. 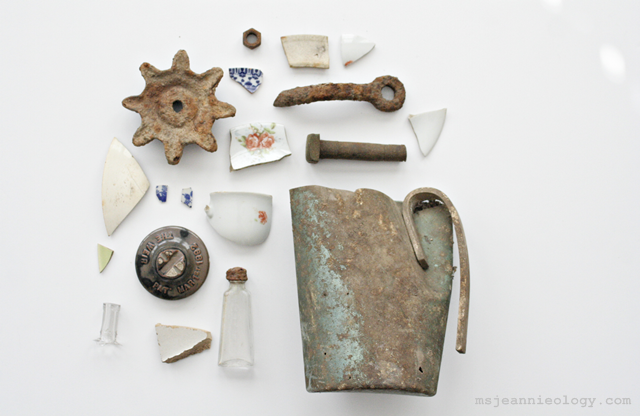 When digging up some dirt for potting soil in a far corner of her friend’s yard, she unearthed the above items, all within just a 20 minute time span. The gear looks like the sun, doesn’t it? Ms. Jeannie loves to find these most. She has a collection of hundreds of pieces which one day she will do something crafty with. The pottery usually swims to the surface after a heavy rain and you can find it almost everywhere around historic places – usually in the sandy parts of pathways or the bald spots of grassy areas like lawns and gardens. She likes these pieces best because they are delicate and pretty and they tell fascinating little stories about the area they were found in. 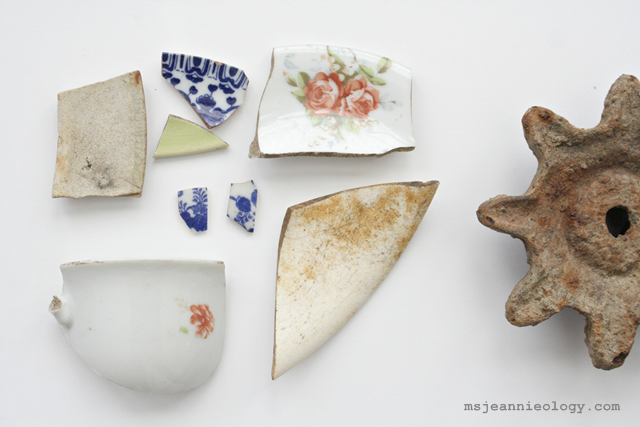 The pieces with the red flowers are from a turn of the 20th century shaving mug. There is also a china plate (the blue pieces), ironstone pottery (the cream colored pieces) and earthenware pottery – double-glazed on each side which means it was used for some sort of food or water storage. 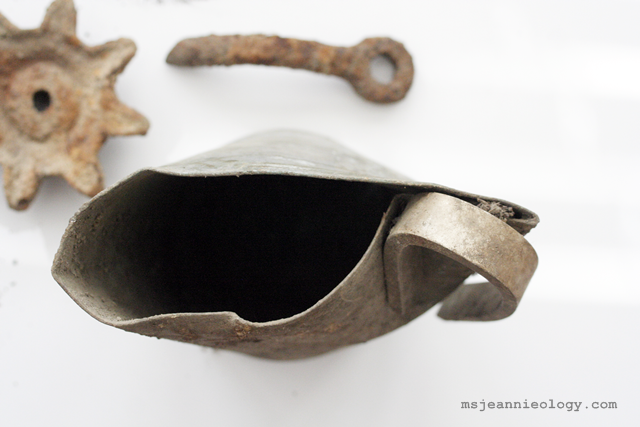 These crocks were used for pickle storage, and then became reuseable for other things like, honey, jam, butter, etc. 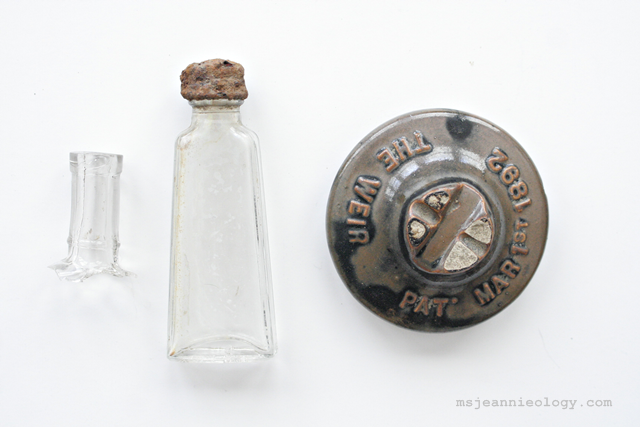 Because Ms. Jeannie found these in the dirt next to the medicine bottle she most likely uncovered a bit of an old garbage pile. Back in the day before trash pick-up and garbage trucks, people would designate one area of their property as the trash heap and they would either collect in a mound and burn it, or dig a big hole in the ground, toss in their unwanteds (empty bottles used jars, clothing, shoes, broken dishes, equipment, etc.) and let nature takes it course of breaking it down. Obviously the heavy duty items never break down but once dirt and leaves and other natural debris cover up the pile it was an out of sight/out of mind situation. Previous The Surprise of the Season! Next Seedlings and Snakes: Let the Season Begin! Love this! Such treasures and you know they each have their own story! Oh I know it! Thanks for being just as excited my dear! I do love your posts! 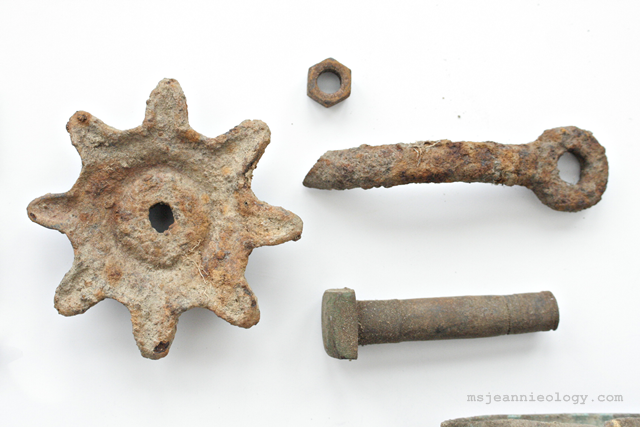 Our home in Philadelphia was built in the 1700’s — I find all sorts of goodies when I garden here too. 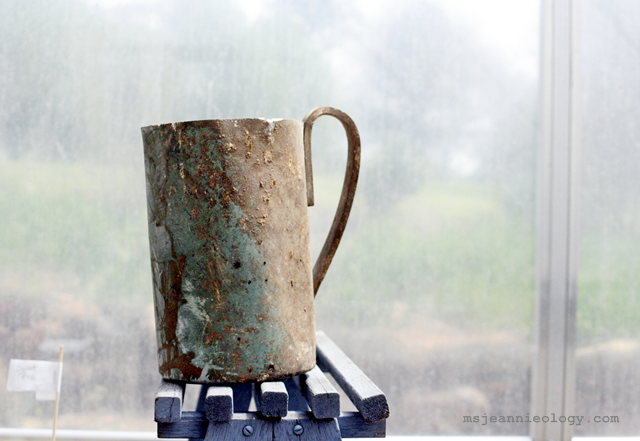 I’ve got a big glass jar full of pottery shards, old rusted locks, a few marbles, etc. I call it my buried treasure jar. Happy gardening. Oh how fun Elizabeth! 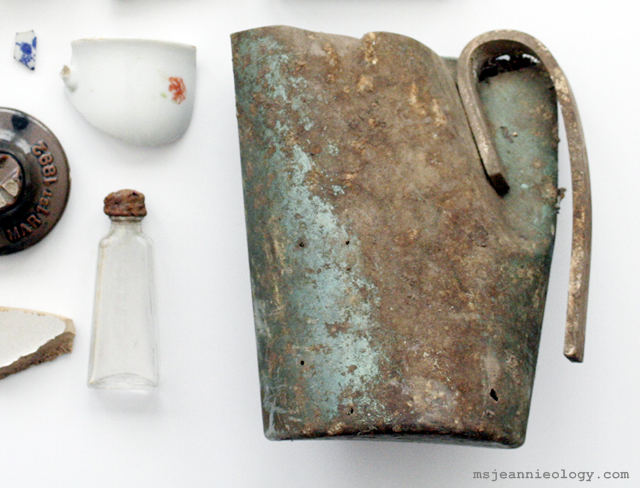 It would be interesting to start a little online gallery of artifacts photographed from people’s yards don’t you think?! Oh definitely start a pinterest page and send along the link. 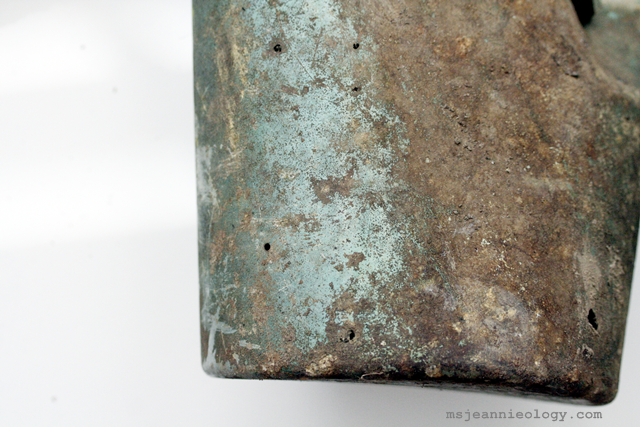 I’ll post it in the next blog post so that we can all admire your treasures!